Hi everyone. 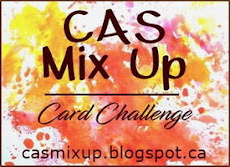 Welcome to August's Challenge at CAS Mix Up! We had lots of creative entries again last month for our Marker challenge. Thanks to everyone who played along. To see our "Pick of the Month" for July, along with some of the outstanding entries, click HERE. To see our fantastic CAS Mix Up July Pinterest Board with all the DT, GD and pariticants Marker cards, click HERE. This month we want you to include sprays on your card. First, make sure your card is CAS (Clean and Simple). Then add some pre-mixed colour sprays, watercolour sprays, shimmer spray, or just plain water spray. The choice is yours. Make sure to include some stamping (a little or a lot), sprays, and then pick something from the "Your Choice" list in the right sidebar to add in. Sprays are so fun to work with. 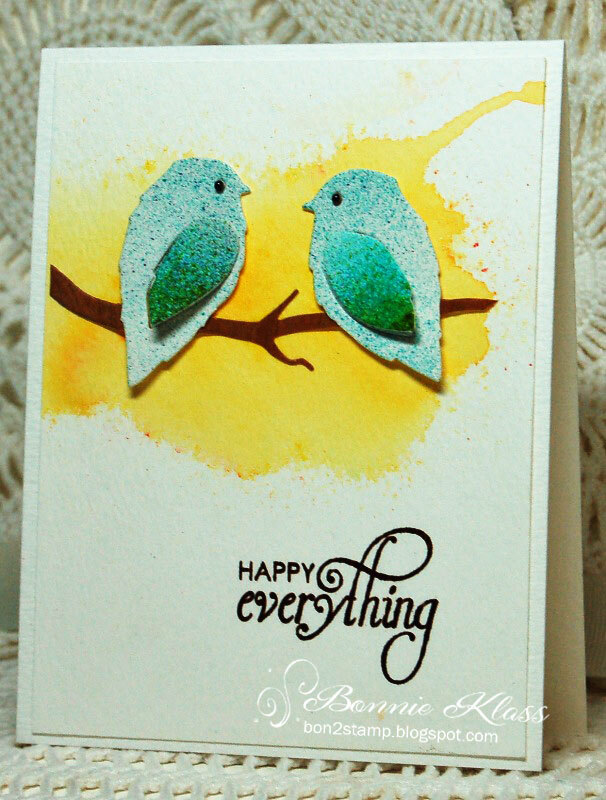 Use them alone, or combine them with other techniques (heat embossing, embossing pastes, stencils ... just to name a few). If you don't have coloured sprays or shimmer sprays ... then choose one of the many techniques (ghosting, smooshing, splattering, etc.) or products (Brushos, Distress Inks, Inka Gold, etc.) that use water sprays. There's lots of different ways to combine sprays into your CAS (Clean And Simple) Mixed Media cards. We are thrilled to have Joanna (Jo-Jo's Spot) as our Guest Designer this month. Joanna was the CAS Mix Up "Pick of the Month" for June. 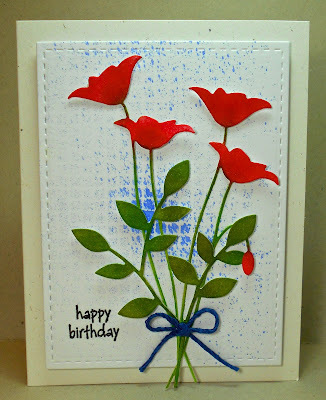 Click HERE to see Joanna's amazing card from the Die-cuts challenge. 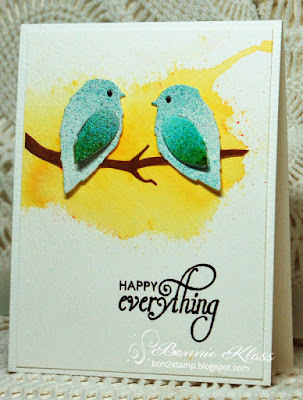 Using a stamp, spraying through a stencil, die cuts, and sponging. - Ghosting Technique by Loll Thompson (4:28). 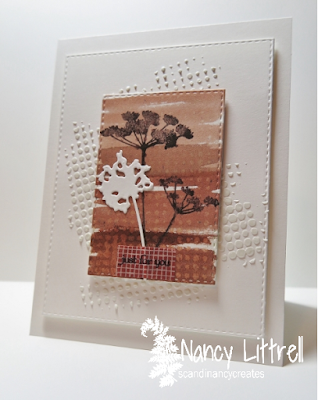 See Nancy's sample card using Ghosting. - Smooshing with Inka Gold by Loll Thompson (4:02). 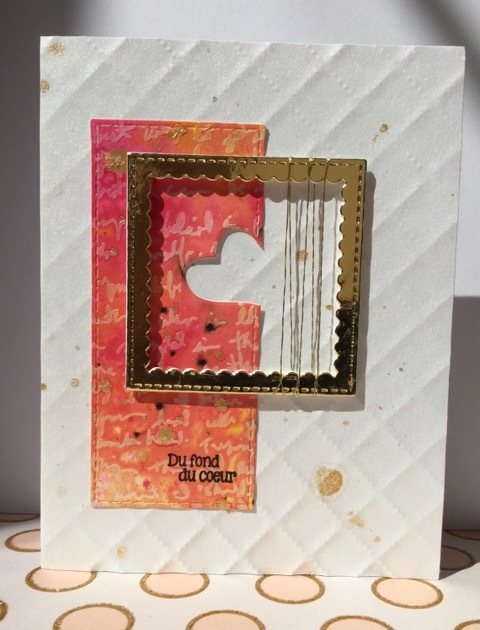 See Loll's sample card using Smooshing with Inka Gold. 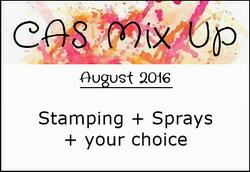 - Sprays for stenciling, stamping and inking by Joggles (9:53). 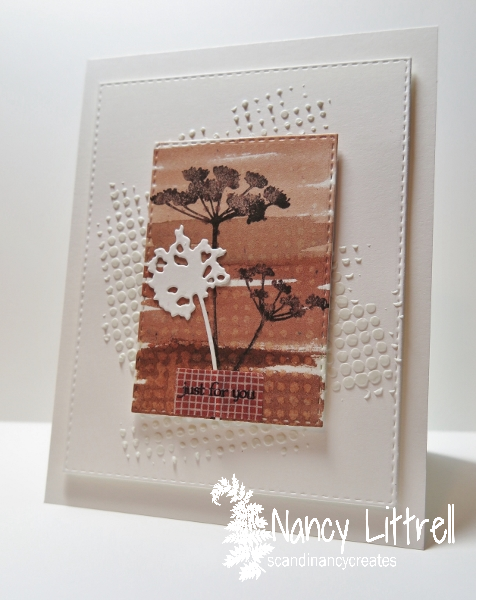 See Susan's sample card using Sprays Through a Stencil. The challenge is open until August 24th. Come join in the fun! Each cards is beautiful and sumple in its own right. I especially love Loll's one.